Visit our Farm this Holiday Season! Gruver's Tree Farm is proud to be a working tree farm. Guests have the unique opportunity to explore our 24-acre farm to cut-your-own Christmas tree or choose through our wide selection of pre-cut trees! 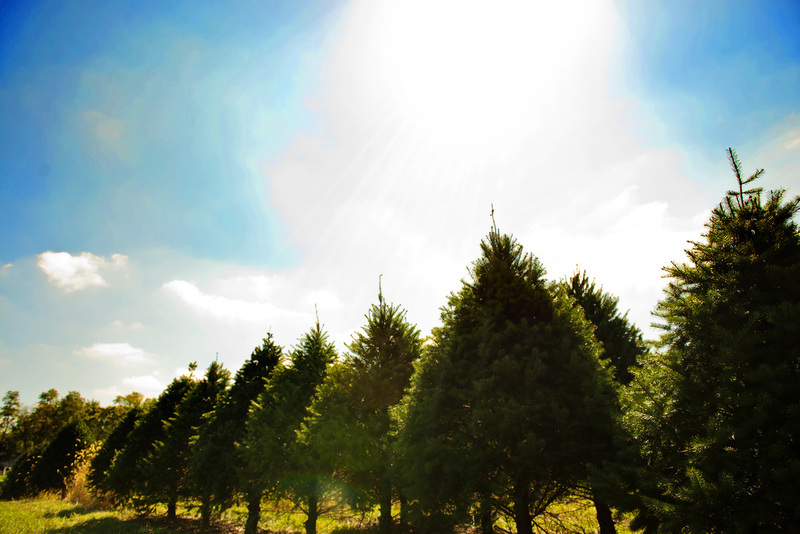 Our farm also has a wide selection of live trees for purchase during the holiday season. At Gruver's Tree Farm, we provide all the materials necessary for you to cut-your-own tree and maintain your family tradition at the farm. We provide saws, tree carts, tree drilling, tree stands, and tree wrapping for easy installation into your home. We also provide additional tree accessories for purchase. Christmas tree prices vary between cut-your-own trees and pre-cut trees, as well as the size of the tree (tree size ranging from 3ft - 20ft). Prices range from $39-$150. Visit our farm this holiday season or stop by our retail lot! Pre-cut up to 12 ft! Cut-your-own up to 18 ft! * please call in advance for trees larger than 12 ft.
​During the Christmas season we have a large variety of live B&B (balled & burlapped) trees available for purchase. B&B trees are perfect for those who hope to transplant their tree after the holidays! ​Gruver's Tree Farm provides decorated & undecorated wreaths for purchase. ​If you would like a large quantity of wreaths contact us here.